The future of transportation lies in automated driving and complex driver assistance systems. This requires all vehicles to be connected with their surroundings via high-performance mobile communications infrastructure. Rohde & Schwarz is a partner in the Providentia research project on the “proactive video-based use of telecommunications technologies in innovative highway scenario”. The project creates the conditions necessary for adding a new dimension to local environment analysis. Based on data from distributed sensors, drivers and automated vehicles receive a digital image of the traffic situation that allows them to see what is coming up far ahead and ensures a smooth traffic flow. To achieve this, the vehicles must be connected to a wide area network via a high-performance mobile communications infrastructure. The T&M equipment from Rohde & Schwarz checks existing mobile communications systems (GSM, UMTS and LTE) along the test route and supports the development of fifth generation (5G) mobile communications technology. Rohde & Schwarz examined the mobile communications infrastructure along the test route to determine its suitability for Providentia application scenarios. Portable mobile communications receivers, such as the R&S TSME and R&S TSMA mobile network scanners record key performance data of the mobile communications systems. This data is analyzed using the R&S ROMES4 software. In addition, LTE eNodeB position estimation determines the exact locations of the base stations. This gives the project partners valuable information on the performance of the mobile communications infrastructure, enabling them to assess how well it meets requirements. R&S is currently investigating the utilization of mobile communications cells. The R&S ROMES4 platform scanning function records the current data traffic in the mobile network. This data is then analyzed by the uplink allocation analyzer (ULAA) and downlink allocation analyzer (DLAA). This makes it possible to evaluate if there is sufficient network capacity to implement the Providentia application scenarios. 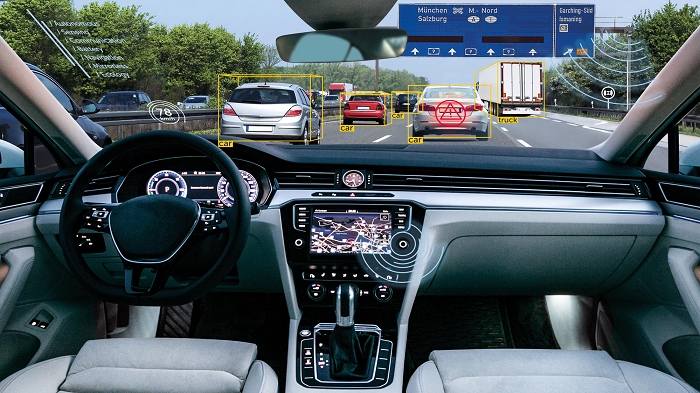 This is especially important for the development of automated driving, since smartphones, tablets and onboard infotainment systems generate an additional and increasing amount of data traffic. In this project, Rohde & Schwarz is also laying the foundation for planning and optimizing the prototype 5G infrastructure along the test route. Since future 5G systems will use frequency bands that are not presently available for mobile communications, they must be investigated in a prototype 5G network structure. To avoid interference with existing communications systems along the test route and to determine the altered propagation conditions of the wireless signals, Rohde & Schwarz T&M equipment is being used to investigate the frequency spectrum and visualize transmitted signals and interference signals. The Federal Ministry of Transport and Digital Infrastructure (BMVI), Germany, has funded the Providentia project with EUR 6.09 million as part of the "Automation and Networking in Road Traffic" research program in the funding directive “Automated and Networked Driving in Digital Test Fields in Germany”. The BMW Group, Cognition Factory, Elektrobit, IPG Automotive, fortiss and Huawei are also partners in the project. The Providentia project started on December 1, 2016, and will run until June 30, 2019. Click here to learn more about this project.